This Wrangler Riggs Men's Natural 3W531 NT Chambray Short Sleeve Shirt is so comfortable, so roomy, and so Wrangler, you'll want to wear it every day of the week. Casual Friday? Heck, yes -- and it will make you feel good about Monday through Thursday, too. This ... (see full details) (see specifications) #WRG3W531NT. This Wrangler Riggs Men's Natural 3W531 NT Chambray Short Sleeve Shirt is so comfortable, so roomy, and so Wrangler, you'll want to wear it every day of the week. Casual Friday? Heck, yes -- and it will make you feel good about Monday through Thursday, too. This button-front top is a perfect choice when you want casual comfort in a look that goes just about anywhere. It's made of lightweight 4.5-ounce 100% cotton chambray that's been enzyme washed for softness, and you can count on it for a soft and natural feel against your skin. When comfort matters, you'll reach for this men's top every time. It's designed with the exclusive Room2Move® fit, a relaxed fit with side gussets for a greater range of motion. It also features a back yoke for a good fit. And while you'll buy this short-sleeve shirt for comfort and wearability, it looks good, too. It features a button front and a button-down collar for a neat look. Two chest pockets and a hidden utility loop offer convenience. In classic Natural, a light tan color, it will go with everything. For a shirt that checks all the boxes for both work and casual wear, choose this Wrangler Riggs Men's Natural 3W531 NT Short Sleeve Chambray Shirt. We have them right here at Working Person's Store. Order today! Extremely comfortable summer weight shirt! I bought it for working in the shop, but it looks good enough for casual wear out. The only caveat I have is that I've found Wrangler/Riggs shirts to run small, so I always order 1 size larger than normal. This has been my go to shirt from working persons store for 5 years. A reasonable price for a comfortable, sturdy shirt in a light color. I recommend it. The collar style is more professional when I meet clients during the day. I purchased two of these shirts, it is a nice shirt, runs a little small in size and is shorter then some others even though I ordered the tall size. It was thinner than the shirts that I have ordered in the past. I will not order another Wrangler Riggs shirt in the future. I am looking for something that fits better. Love these shirts that I get. They are not easy to find. Love that they come in a tall size. My husband likes wearing the shits for work . He says they are not hot and have a lot of moving room. They wash and wear very nice. Wish they came in more color options. But the natural and blue I get are fine for his work. He wears them to the office if he has a meeting. He wears them all the time. Love these shirts! Their cool, fit well, and priced right! I will order 7 more every spring. I also wear Riggs long sleeve shirts all winter. Their very well made and would recommend their products to anyone! Just want to say thank you. My boots arrived in record time and exactly as they were described. I just want to say thank you to all that were involved. I will definitely buy more products from you folks and I will tell others to buy from you. Please pass the word on that I am one pleased customer. 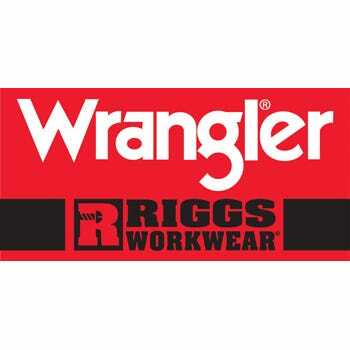 Wrangler Riggs Shirts: Men's Natural 3W531 NT Chambray Short Sleeve Shirt is being added to your cart.